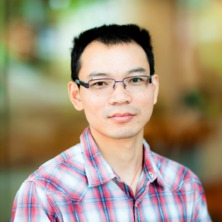 Dr Zhongfan Jia is currently an ARC Future Fellow in AIBN at UQ. He received his PhD. degree in polymer chemistry and physics from Fudan University, China, in 2007. He then took a postdoc position at the Centre for Advanced Macromolecular Design (CAMD) in University of New South Wales (UNSW) with Prof. Tom Davis, where he worked with RAFT polymerization for polymer/biomolecules conjugation and biomedical applications. In 2009, he took the UQ Postdoctoral Research Fellowship and moved to the University of Queensland and worked with Prof. Michael Monteiro at the Australian Institute for Bioengineering and Nanotechnology (AIBN). His current research interests are (i) Living polymerization for complex polymer architecture; (ii) Synthesis of polymer nanostructures for biological application; (iii) Polymer-based electrochemical material for energy storage; (iv) Polymer-supported catalytic reaction. Dr Jia has authored 73 publications include three book chapters. Design and synthesis of new organic radical polymer for electrochemical energy storage - next generation of the plastic battery. Design and synthesis of new organic radical polymer for selective oxidation of alcohol. Synthesis of dendritic and cyclic polymers; Fabrication of thermo-responsive nanostructures with high solid content, variable functionalities, and diverse morphologies for stem cell and other applications. Current research on the development of polymer energy storage materials will have great impacts on (i) battery, supercapacitor for flexible electronic devices; (ii) redox flow battery for micro-grid energy storage (iii) recyclable catalysts. Organic radical polymers as electrochemical active materials provide both superior redox property and excellent processability and flexibily. This project aims to design and synthesis of new organic radical polymer structures and used as electrode material for electrochemical energy storage. Nitroxide radicals are known as catalysts for many organic reactions. This project amins to synthesize new smart polymer-supported nitroxide radical material as catalyst for oxidation of alcohol to corresponding carbonyl compounds.